When Benjamin Franklin wrote that "an ounce of prevention is worth a pound of cure" he had no idea he would be describing one of 2012's hottest trends in health care and investments, something known as social impact bonds. The details are complex, but the concept is based around a simple idea. "What we're really trying to do is demonstrate that there's a business case for prevention," says Rick Brush, founder and CEO of Collective Health. 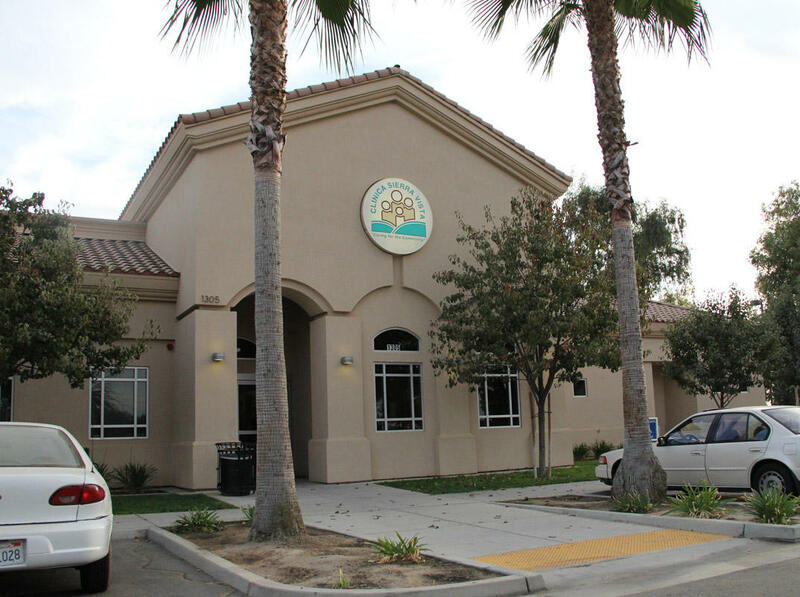 The company has selected Fresno's Clinica Sierra Vista to launch the first social impact bond in the country to focus on health care. And here in the Central Valley, their efforts at prevention are focused on one of the area's biggest health concerns, asthma. "When you look across what's driving health care costs in any particular area, in Fresno we know that asthma is a significant issue, so we look at opportunities to prevent the most severe cases of asthma and asthma emergencies," says Brush. Brush says the idea is to attract money from investors to pay for up-front treatments, in this case relatively small steps that can reduce indoor air pollution. Health providers save money with reduced costs, and they share those savings with the investors. "If we keep it simple and focus on bringing money to the table where we can really make a difference in communities, and also at the same time generate a financial return for those investors who are essentially giving us a loan to make those improvements in communities, I think that we'll be able to demonstrate something really powerful," says Brush. While this is the first time that a social impact bond has been focused on health care, similar projects have recently launched in other fields. In 2010, a social impact bond in the United Kingdom debuted with a goal of reducing the number of ex-prisoners who wind up back behind bars. "In the United States, really this is just starting to gain momentum. New York City was the first to announce a program using a social impact bond, and that also was for prisoner recidivism, and the state of Massachusetts is launching a couple of social impact bonds, one for prisoner recidivism, and one for reductions in homelessness," says Brush. The New York City project was lead by a nearly $10 million investment from the Wall Street firm Goldman-Sachs over four years. If the project is successful at keeping teen offenders from returning to jail, Goldman-Sachs stands to profit from money the city would otherwise spend on incarceration. If it fails, the company could lose millions. Back in Fresno, Kevin Hamilton, deputy chief of programs for Clinica Sierra Vista, says he was initially skeptical about the project. "Trust me, when I first heard about this, which was about 8 months ago, 10 months ago, I was a skeptic," says Hamilton. But he says he soon saw the potential, not only for the investors to profit, but also for savings to be invested back into more preventative programs. "If the health insurance companies agree that this money that they save is money that they can then re-invest to repeat the process along the way, this could be very powerful," says Hamilton. Hamilton says his group was chosen for this project in part because of his research into the effectiveness of in-home interventions in preventing asthma attacks caused by indoor air pollution. Other project partners include UCSF and the Central California Asthma Coalition. According to numbers provided by Collective Health, the project plans to conduct interventions for 1,100 Fresno children who have been diagnosed with asthma. Together they account for $17 million in health care costs for emergency room visits, hospitalizations and follow-up visits. With an initial investment of $1.1 million, the project has set a goal of reducing total costs by $6 million. The savings to insurance companies and Medi-Cal will allow the investors to be repaid with 5 percent interest, and the rest of the savings can be re-invested into care. So what types of interventions can generate such a dramatic cost savings? It often turns out to be things that many of us take for granted, like making sure kids get regular checkups at the doctor, and clean carpets. "We'll also be doing an in-home assessment, to determine what kind of housing they live in are there problems in the house like old carpets that are full of dust, is there a mold problem, asthma-safe cleaning solvents and things like that, are the families using that, do they have access to those kinds of things, do they have a vacuum cleaner with a HEPA filter, all of those sorts of things will be assessed. And wherever there are things that could be corrected this project will be supplying us with money to do that. We have approximately $1,000 to spend on each household," says Hamilton. That means if a family has dust filled, moldy carpet, Hamilton's crew will help replace it, and work to fix the source of the problem. Or purchase a new vacuum cleaner. According to Hamilton, everything from indoor air filters to pest removal and weatherizing windows can have a big impact on indoor air quality and asthma attacks. "You're talking about reducing costs around this chronic illness by about one third. So if you can put one sixth of the money in, and get a reduction of costs of one third, and the money that you put in, you only put in [in] year one, and in year two, you're not spending any extra money, you continue to realize that profit if you will, over time, it's got a long term impact," says Hamilton. John Capitman, executive director of the Central Valley Health Policy Institute at Fresno State says that while the idea behind this project's financing may be new, it's especially well suited for a treating a chronic disease such as asthma. "This is one of the areas where we've got the best potential to make this idea work. Here in Fresno we have a high proportion of people with badly managed asthma. It's severe, but they're just not succeeding at keeping it well under control, either because of their environment or their access to care or because of things that are outside of their control, such as air quality. So this plan brings to people's home all kinds of help to improve the environment of their home and to help them learn new skills and new access to health care to helpfully improve their outcomes. And the potential exists to reduce costs of asthma care for these types of folks by a significant amount," says Capitman. Still, for other diseases, Capitman remains somewhat skeptical of the potential behind social impact bonds. "I think that for many health issues the changes that people need to make in their lives and in their environments are probably more expensive than that, or have longer returns on investment than may be acceptable to social impact bond investors. I think there are a limited number of health issues that this might work with," says Capitman. The uncertainty around the future of the social impact bond model in the health care system is part of the reason for the Fresno program. Rick Brush and Collective Health will use the project to gather data, and hopefully attract future investors. Until now most of the investors in such projects have been philanthropic foundations, but Brush also sees potential with institutional investors and beyond. "We also think that high net worth individuals, especially those who favor social impact in the investments they make, will be very interested in this, and we're starting to see that around the country, and around the world with other social impact bonds," says Brush. If all goes well, the Fresno project hopes to get underway early next year. The California Endowment has been funding the early planning stages of the operation, and Brush and Hamilton hope to receive a significant investment from the Endowment that would launch the project. Brush also says that as social impact bonds catch on, some laws may need to be changed to allow governments to participate in the program and pass along general fund savings to investors. But while the results of this first of its kind investment in prevention are still a couple of years away, right now, the promise of bringing investors and health providers together remains very appealing. "If the idea works I think people will jump on it. I think the idea of seeking ways for private investors to make money and add to the solving of social problems is very exciting," says Capitman.